Justis also provides the largest collection of UK superior court judgments, the largest collection of Irish case law, the largest collection of Caribbean cases, extensive Australian, Canadian and international cases. In 2017, Justis and The Law Report announced a new partnership, making Justis the exclusive provider of The Law Report case law collection. The series contains important decisions of the higher courts of New Zealand across all major practice areas from 2010 onwards and adds another jurisdiction to the vast collection of common law cases already offered by Justis. 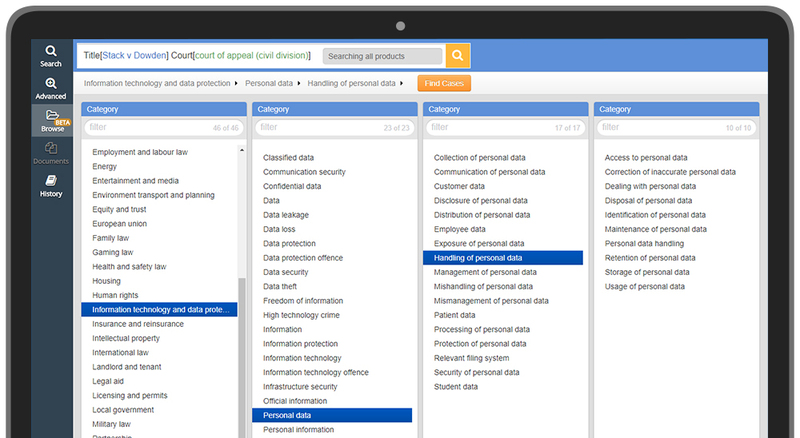 Many online case law providers restrict your searches to their content. 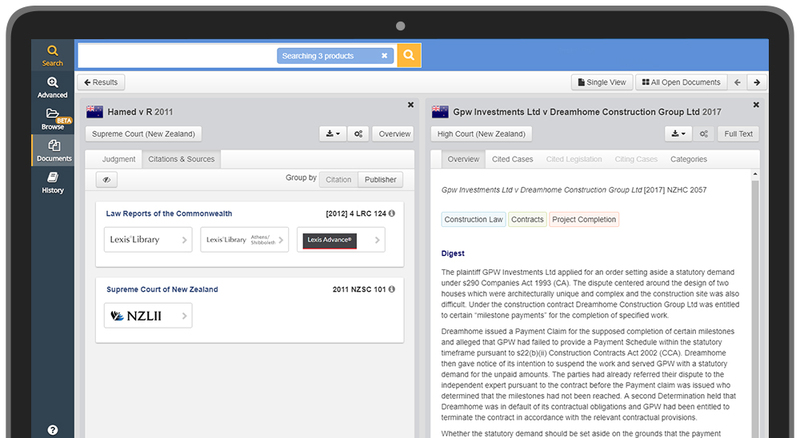 JustisOne is different and allows you to find cases across 120 other online services, including NZLII, even if the full text of the case is not on JustisOne. JustisOne is updated daily, with hundreds of new cases added each week. 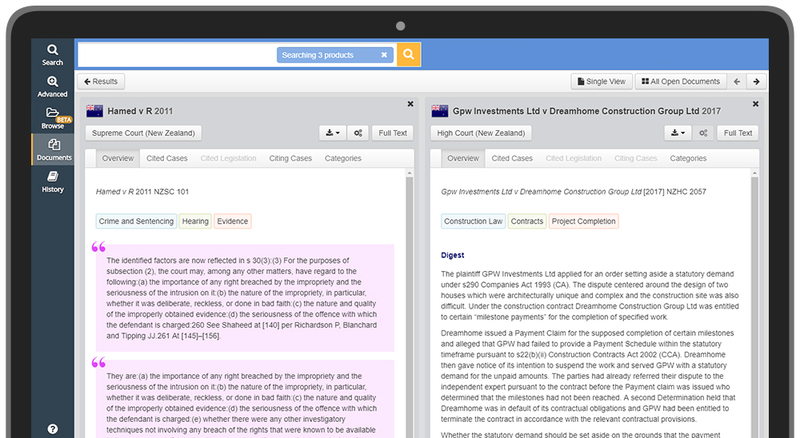 The New Zealand Core comes complete with case summaries and digests, provided by The Law Report. JustisOne also displays the most cited passage of a case. 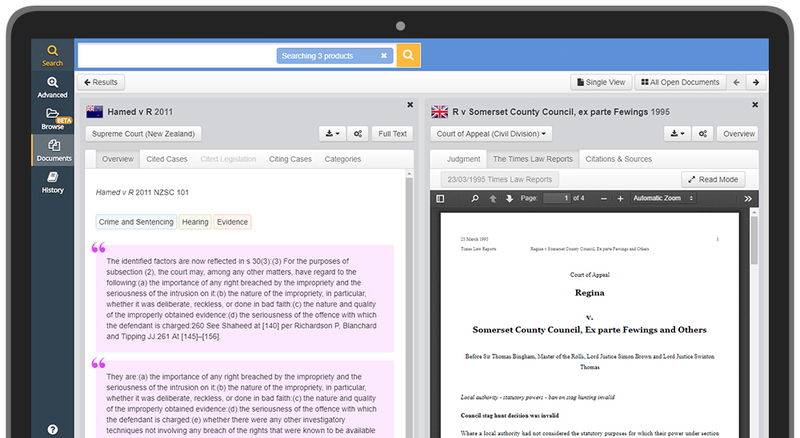 View the most cited paragraph of a case, visually identify good law, and find important related cases with JustisOne’s advanced technology. 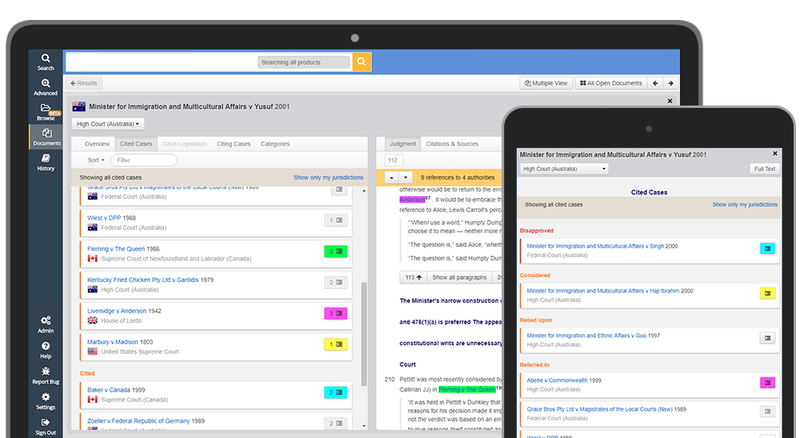 Plus, refine your searches with the world’s largest legal taxonomy developed by the Justis team, which powers JustisOne’s category browser and offers more detailed searches than any other legal research platform.